All things are possible to those who BELIEVE. 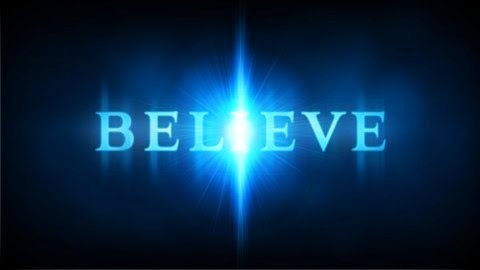 “Jesus said to him, ‘If you can believe, all things are possible to him who believes.’” Mark 9:23. That all things are possible with God. “But Jesus looked at them and said to them, ‘With men this is impossible, but with God all things are possible.’” Matthew 19:26. As a man thinks in his heart so is he. (Prov 23:7). What does a man think in his heart? That which he believes. What does a man believe? That which he receives, that is, that which he HEARS, SEES, or EXPERIENCES in the natural or in the spiritual. The two realms of input into the hearts of mankind are that which comes by spirit and that which comes by natural. The natural gates into the heart of a person are our natural hearing, seeing, feeling, tasting, and smelling. The spiritual gates into the heart of a person are spiritual hearing, seeing, feeling, tasting, and smelling. The view from natural man is that the natural senses are primary and the spiritual senses are secondary. The truth is that the spiritual senses and primary, and the natural senses are secondary. Natural things were made by the spiritual. All natural earth was made and is under the authority of the spiritual. The natural created world and all that is in it is changed by that which is received into the heart of mankind and then spoken or planted from man into the world. Because God gave man dominion on earth, that which comes from man is the authority that releases the power of God to affect change in the world. That which a human being hears and sees repeatedly, especially from a trusted source, becomes reality in the heart. It becomes what the person believes. From the abundance or reality of the heart, the mouth speaks words that become seeds planted into the world to grow and change or reform the world according to the seed. “A good man out of the good treasure of his heart brings forth good; and an evil man out of the evil treasure of his heart brings forth evil. For out of the abundance of the heart his mouth speaks.” Luke 6:45. Very simply defined, partaking from “the tree of life” is hearing God. It is the reality of abiding in and with God in alignment with His plan and purposes of ruling on earth: abiding in the perfect love relationship with God and receiving from God the words and ways of God’s plan, power, and wisdom to rule and reign in this life. It is receiving life from God. A simple definition of partaking of the fruit of “the tree of the knowledge of good and evil” is figuring it out for ourselves. It is the error of becoming our own god and determining from our own understanding what we believe to be good or bad without input from God. These two trees are two opposing realities that determine the fate of mankind and Planet Earth. Death is in the fruit of the tree of the knowledge of good and evil. (Gen 2:17). Within the fruit of the tree of knowledge of good and evil are the evil forces of “unlove” and self-oriented rationalizations. These things lead to the spirit of Satan releasing negative false wisdom into this world that brings death and all that works with it such as sickness, malformation, strife, murder, suicide, deadly addictions, and much more. The evil spirit praises the false inverted wisdom of mankind and greatly opposes the true Spirit of God and the life in Christ Jesus. Young human beings are born with some inherited level of that which generations before have believed, experienced and became. However, most of their heart is like a blank piece of paper with only some inherited basic guide lines. The blank lines of paper are quickly filled in with that which is seen and heard repeatedly from a valued or respected source. Much of the basic beliefs are developed in early childhood. Then through the experience of mostly hearing and seeing through some form of education experience, beliefs are formed that will affect (change) the world through the life of the person. That which the devil means for annihilation is being used of God to turn the people of the world back toward Him and remove evil from the world. God’s purpose is to cleanse, redeem, and restore the world to the original design and intent of the Garden of Eden life, the kingdom of God reality of life on earth as it is in heaven. Yes, the religions and the governments of this world have failed and have gone the way of Cain. (Jude 1). The church systems and governmental systems of the recent past have utterly failed to bring forth the kingdom of God and allowed the world to rot in its own foolishness. The tree of the knowledge of good and evil has supplied the wisdom of darkness to steal the minds and hearts of the people while religions and governments fattened themselves on the blood and flesh of the sheep. The kingdom of darkness is producing hell on earth by stealing the minds and hearts of the lambs and turning them into accursed children prepared to kill and be killed. (Please read 2 Peter, chapter 2). Yes, this is the place and time for armies of God to arise and in the power of love step into agreement with God for the myriads of holy angels of the roaring fire of God that has come to earth to cleanse the earth of evil and all that evil has built. (Joel 2 & 3). The massive power of the tree of the knowledge of good and evil is being cut down from the root to the fruit and its seed. (Mat 3:7-12). It is the power of the fire of the love and wisdom of God that is invading this earth NOW in this day. The return to the tree of Life and its fruit with the seed in it is the reality of God in Christ on earth by the Holy Spirit indwelling the people of God ruling planet earth with the iron rod of His pure holy love and truth. (Read Revelation 19). The glory of God is filling the house that God built, the house not made with hands, in a kingdom resting squarely on the shoulders of Christ Jesus, mighty God, counselor, Father of all life, eternal King, in His kingdom of priest and kings, sons and daughters of God. The building of living stones laid in perfect order from King Jesus, the chief cornerstone. (Acts 7:48-50) (Isa 9:6-7) (1 Peter 2:4-7). The living breathing Body of Christ is now being joined together with its eternal Head Christ and King, Jesus, Yeshua. God in Jesus our eternal Head is now being joined firmly and directly to His Body on earth. Think it not strange that the fiery trials of great change come upon this world. (1 Peter 4:12-19). Considering that all these things be of such magnitude of glory now and forever, how important are our personal desires for pleasure and self-gratification of personal comfort and carnal entertainment in this life? This is not about us, it is all about Father God, Christ Jesus, and His kingdom on earth as it is in heaven. Yes, we will find our very best lives when we lose our lives to find our lives. (Mat 16:25). CHANGE THAT WHICH WE HEAR AND SEE, AND OUR HEARTS WILL CHANGE US AND THE WORLD. THE POWER OF THE LOVE OF GOD IN US WILL RELEASE THE POWER OF HEAVEN TO CHANGE THE WORLD. THE MOST IMPORTANT THING FOR YOU AND ME IN THIS LIFE IS TO FINISH THAT FOR WHICH WE ARE SENT TO THIS WORLD.